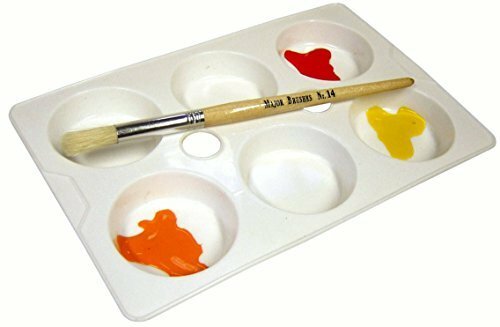 This six well palette is great for paints and will even hold colour blocks. Also ideal as a sorting tray for more general crafts. These are made of rigid plastic.